In a bid to lessen the suffering of the people of Kerala and to provide them timely relief, Headquarters Maintenance Command, Indian Air Force at Nagpur took an initiative under the leadership of Air Marshal Hemant Sharma AVSM VSM, Air Officer Commanding-in-Chief to airlift relief material for flood-hit Kerala. Civil Administration and various NGOs at Nagpur have also donated relief material for the flood-affected people. Even citizens of Nagpur have come forward to contribute relief material. The vendors who supplied the utility materials also extended considerable discounts on the purchases made for relief material. 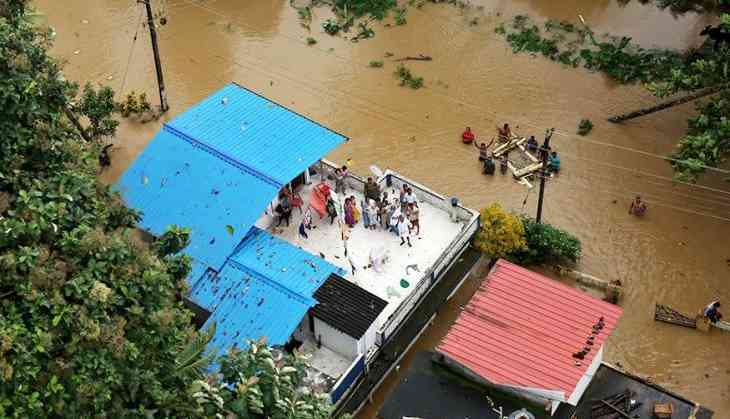 The collected relief material was airlifted on August 23 Nagpur by a special aircraft of the Indian Air Force so that it can reach the affected citizens at the earliest.